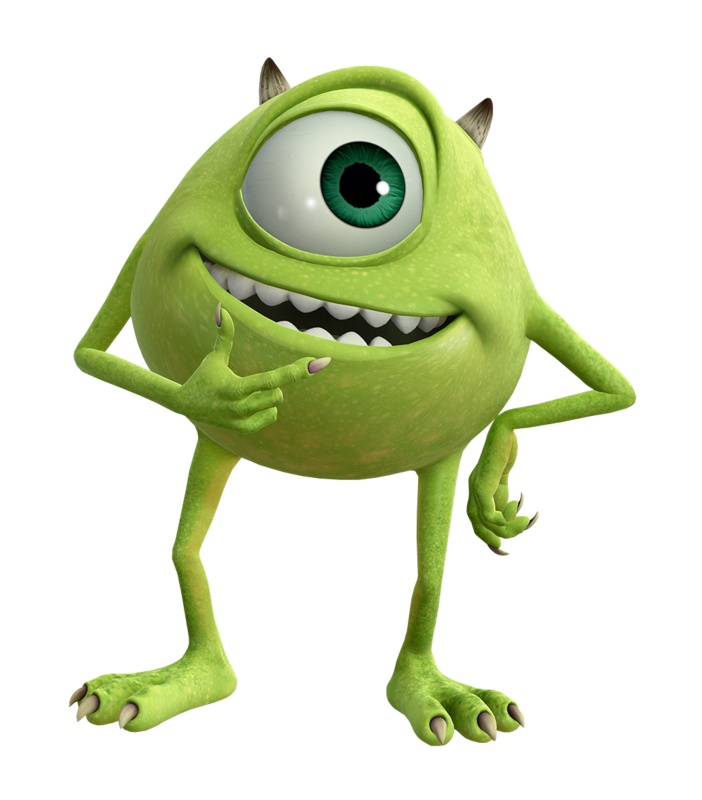 Mike Wazowski is the assistant to James P. Sullivan, more commonly known as Sulley, at Monsters Incorporated. In this world, monsters scare children in order to collect energy which provides electricity to the city of Monstropolis. Any child or item from the human world that is brought into Monstropolis is considered dangerous and must be removed by the Child Detection Agency immediately. He met his best friend and colleague, Sulley, at Monsters University. Shortly after being expelled from the University, the two worked their way up Monsters Incoporated, from working in the mail room to becoming the top Scarers working under Henry J. Waternoose. Randall Boggs, another Scarer, set off a chain of events that led Sulley and Mike into looking after Boo, a human who made her way into the monsters' world. When Mike first sees Sora, he is worried that they will be frightened at seeing Boo however Sora shows kindness towards the child. Sulley and Mike decide to team up with Sora, Donald, and Goofy in order to defeat various Heartless and Unversed which have made their way into Monsters Incorporated. During this journey they meet Vanitas, a human monster who is a part of Xehanort's Organization and is also the dark part of Ventus' heart. Randall has also returned from his banishment and is now causing trouble for Mike and Sulley.